Beautiful, historic and a lot of fun, Barcelona is one of the top destinations in Europe. A popular city for first time visitors, there is a never-ending list of activities to keep you busy, whether it be taking in the iconic Gaudi architecture, taking a stroll down Las Ramblas, shopping in the city’s best boutiques – or just hanging out at the beach, relaxing and sampling the sea-view bars. Not only does Barcelona has all the sights, it has all of the food too. Be ready to have your tastebuds taken to heaven, thanks to the tapas, the fresh fish, and the delicious fruits. 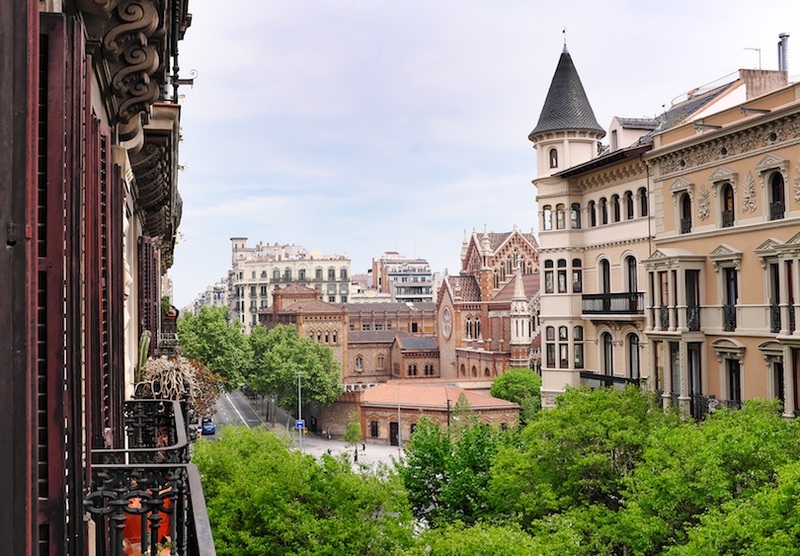 As one of Europe’s best-connected cities, you can arrive by plane, car, train or even boat, and then spend your time in the city – either by hopping on the easy to navigate metro, or on foot; plus it comes packed with great hotels to suit everyone’s wallet. All of that and Barcelona is on the cheap side when compared to other major European cities such as Paris and London. Barcelona gets more than its fair share of sunshine too. We’ve rounded up the best areas for you to stay in Barcelona so you can get the most out of your trip to the the Catalan capital. 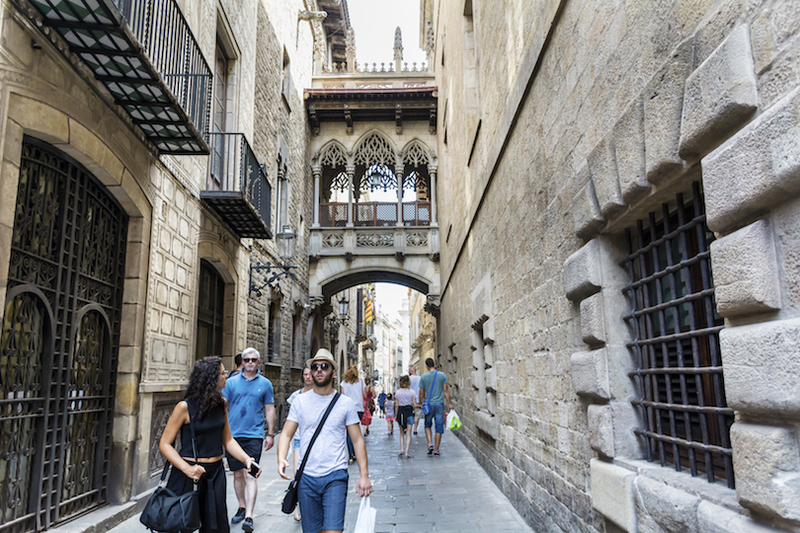 The oldest part of Barcelona is the majestic Gothic Quarter and is where most tourists visiting the city head first. An exciting network of alleyways and intriguing turns make this area a top destination in the Catalan capital. History is everywhere in the small squares and picturesque cafes and the architecture is almost dripping in decadent style. This also is the spot where the festivals take place at the end of September, so if you visit at this time of year expect to see fire breathers and hoards of devils dancing through the lanes to the beat of the festival music. 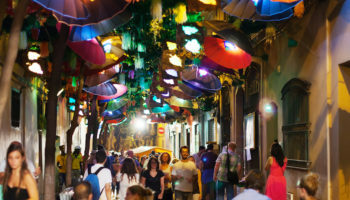 If you are after fast-paced fun in the old city then this the part of Barcelona is for you. There are some fantastic spots to try out tapas among the medieval architecture and many of the top sites that Barcelona has to offer are in walking distance. Accommodation in this area offers sumptuous rooftop terraces with swimming pools, Michelin star dining and incredible views of the cathedral. Grand Hotel Central – When it comes to grand, this hotel really does fit the bill. Think rooftop infinity pool with views out over the gothic quarter itself and chic, stylish rooms. It’s located inside a renovated 20th-century Catalan style building, which just adds to the sense of cool at this 5-star hotel. Everything here is designed for comfort – from the showers and the big comfortable beds to the massages on offer here and at the fitness center. 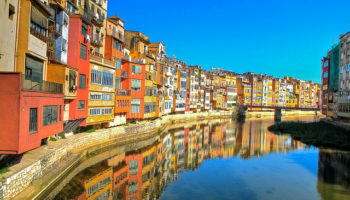 It is close to the Santa Caterina Market as well as the Picasso Museum. Petit Palace Boqueria Garden – More than just a little stylish, this hotel is close to the famous La Bouqueria market, a stone’s throw from Las Ramblas, plus near to the Niceu metro station, so it boasts a perfect location, too. As for the decor, it’s simple, it’s modern, it’s tasteful overall, with the historic 19th-century architecture left to do all the talking. There’s a hotel bar here inside a courtyard that’s decorated with century-old trees. Bonus: rooms here come with iPads and guests also have access to free bicycles. Royal Ramblas – As you may be able to tell from its name, this hotel is right in the middle of all of the action of Las Ramblas. Staying here also means you’ll be within walking distance to sights such as the Plaza Cataluny and the Plaza Reial. This 4-star hotel features modern rooms decorated with dark wood, earthy tones, and subtle lighting. There’s a restaurant on site which serves up a delicious buffet breakfast every morning, plus the staff are friendly and helpful. Catalonia Magdalenes – This hotel is new and comfortable, with rooms tastefully featuring a soft color palette for a relaxing atmosphere. Here, you can enjoy chilling on the outdoor terrace, which also includes a rooftop pool surrounded by sun loungers with views of La Seu Cathedral and the charming skyline of the gothic quarter. This hotel is just 200 meters away from some prime attractions in town, including the Portal de l’Angel and the Laietana shopping street. Catalonia Avinyo – This hotel sure has some funky modern details going on; there’ some cool graffiti art in the lobby, for instance, and a large living plant wall inside the courtyard in the middle of the hotel. The rooms are modern and comfortable and are all done in an eclectic style; some come with balconies, others have indoor seating areas. You’ll find Catalonia Avinyo close to the Plaza Reial and Placa Sant Jaume and a three-minute walk from Las Ramblas. With neighborhoods rich in architecture dating back to the 14th century, fantastic shopping, and delicious food, La Ribera is a great spot for your Barcelona holiday. Some of the main attractions in the area are the Santa Maria del Mar Basilica and the Palau de la Musica Catalana but it’s also easy to reach more quiet spots such as Ciutadella Park from here. The lower section of the La Ribera district is referred to as El Born after the 19th century market on carrer del Comerç that dominates the area. If you like strolling around and soaking up the atmosphere, La Ribera is a pedestrian-friendly area and so is especially great for children. Another big tourist draw here is the Picasso Museum which houses the influential painter’s most significant works displayed in a stunning Renaissance building. 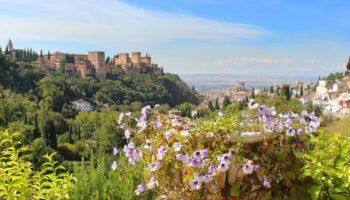 The La Ribera district has become a bit of a hotspot in recent years; it has a burgeoning dining scene and also is great for a spot of retail therapy in the boutiques. 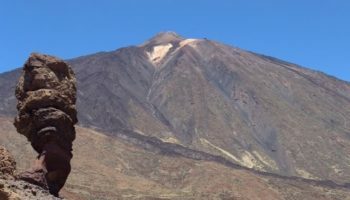 Hotels along the main street are mid-range chains which offer good value and are an easy walking distance to the top attractions, but alternatively the Estación de Francia is an excellent transport hub close by. K+K Hotel Picasso El Born – This hotel is a stylish boutique with a trendy rooftop swimming pool, sunbathing and bar area – which allows you some pretty luxurious days and evenings spent up here. From here, you can soak up views of Ciutadella Park, just across the road from the hotel. The rooms are classically designed with simple colors – comfortable without being extravagant. The in-house Picasso restaurant serves up tasty tapas, plus there’s a lobby bar for cocktails too. True to its name, it’s just five minutes from the Picasso Museum. 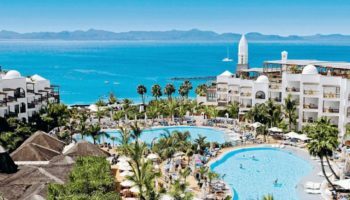 Exe Laietana Palace – This newly refurbished hotel is set inside a beautiful neoclassical building with tiled floors throughout, high ceilings and large windows for fresh and bright rooms. This 4-star offering is situated adjacent to Barcelona’s old Roman Wall; some of the rooms even boast views of this historical part of the city. If you’re into shopping, you’re in luck – Exe Laietana Palace is right near the Santa Llucia Christmas Market. Plus there’s a hop-on, hop-off bus stop located just outside the hotel. Park Hotel – At the Park Hotel, you’ll be pleased to know that the staff are courteous and professional, which always makes a difference. The style here is elegant, thanks to tasteful, fashionable décor; rooms are stylish with their simple, minimal design. This 3-star hotel is in a fantastic location for those wishing to explore the surrounding areas of Barcelona too; it’s right opposite the Estacio de Franca Railway Station. Some of the rooms here come with balconies boasting city views, plus there’s a rooftop swimming pool for extra luxury. 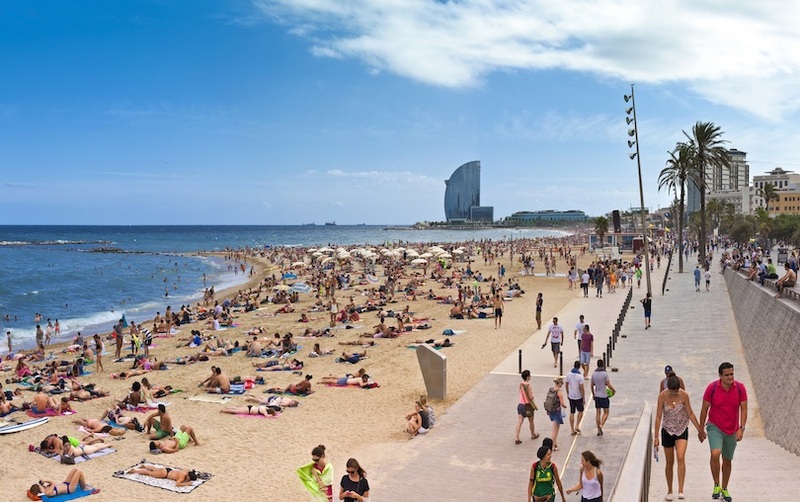 Once home to Barcelona’s fishing community, a triangle of land makes up the Barceloneta district, which cuts across the sea with the old harbor on one side and the city’s famous sandy beaches on the other. This area is built up in a grid system in order to accommodate those who were working on the construction of the old citadel. 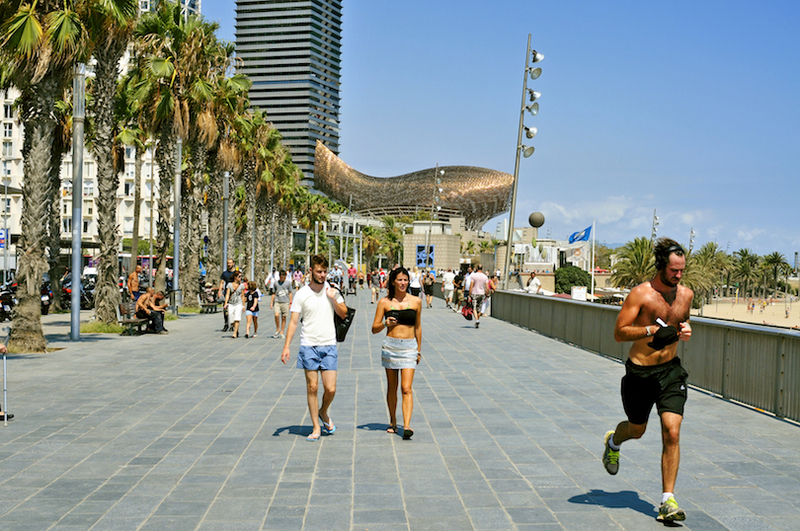 The area was completely modernized in the 1980s and now Barceloneta is a thriving popular district that attracts thousands of people to its sandy Sant Sebastiàn Beach each year. A really attractive neighborhood to stay in, there are endless restaurants serving fresh seafood and bars to try out the Catalan cuisine. There’s a laid back local feel too, as people live out their lives in apartments and sitting on benches watching the world go by. There is a glamorous side to the area: in the marinas, shiny yachts worth millions are shown off in the sunshine and buff-bodied people parade along the palm-lined promenade. Although it’s not the most central location for sightseeing, there’s a metro station at the base of the triangle and an excellent bus service. So if you want beaches and bars with a splattering of sightseeing, then this is the area for you. Hotel Arts Barcelona – If high end is what you’re looking for, you should definitely consider Hotel Arts Barcelona. This place is all about sleek luxury and is certainly the place to stay if you’re sensitive to a bit of cool design. This definitively 5-star hotel even features a restaurant that boasts two Michelin stars, a hair salon, and rooms that are simply stylish, with parquet floors, sea views, and bathrooms decked out in marble. For extra comfort, go for a suite. W Barcelona – Modern and with unique design features – like swirling marble-print carpets and bold lines – W Barcelona is definitely a futuristic, avant-garde place to stay. There’s a Michelin starred chef running the restaurant here, a rooftop bar, two pools, a spa, and a relaxation area. As a bonus, it’s just 50 meters from San Sebastian Beach, which is perfect for days spent soaking up all the sun, sea and sand that it has to offer. Hotel 54 Barceloneta – Situated overlooking the port of Barceloneta, Hotel 54 features quite a few charming features, including a ground-level terrace as well as a rooftop – both equally good for an evening cocktail. The rooms here are decorated in a crisp, contemporary style; some even feature balconies with wide windows that open up to city views. As an added plus, this 3-star hotel is located just a three-minute walk from Barceloneta Beach. Do you like seafood? If so, you’ll love the restaurants nearby. 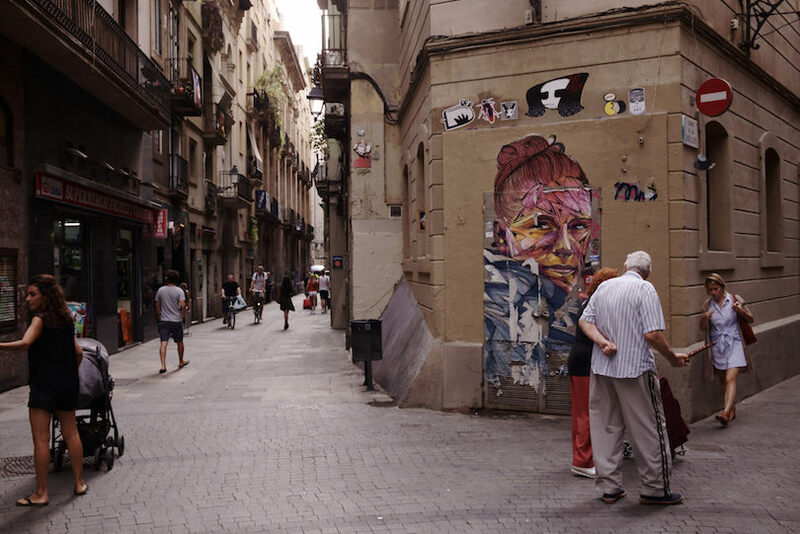 An old district with a distinct mix of art and creativity combined with an edgy vibe, El Raval attracts a cosmopolitan crowd looking for a wild night out in the city. There is development happening in the neighborhood and the revelry of the nightlife is being softened to help it become more of a cultural hub. Museums are beginning to spring up where clubs might have been before as the area is being redefined by those who live and play there. In the light of day El Raval is rich in history: many beautiful historic buildings line its streets and it is home to the city’s most popular market as well as galleries and museums. There is a seedier side to this area compared to others and not such a huge range of hotels to choose from, but don’t let that put you off; this is the area to stay if you like to party late in to the night. If you stay in El Raval you’ll still be in walking distance to some of the most iconic streets in Barcelona, such as the iconic Las Ramblas, a street which is always bustling with street performers and vendors, and Placa de Catalunya, the city center square. Hotel 1898 – True to its name, this 4-star hotel is set in a lovely 19th-century building; it’s perfectly mixed the charm of the old building with the comforts of the modern day for a high-end feeling. The building itself actually has special monument status! Downstairs, the cellar of 1898 has been amazingly converted into a spa with a large pool for a unique time spent relaxing. If you prefer sun, you can always head to the rooftop pool for a swim and a sunbathe. Rooms are classically decorated here, too. Catalonia Ramblas 4* Sup – Rooms here are decorated with a muted color palette with soft furnishings accented by gleaming fabrics, making for a lavish but relaxing place to lay your head. There’s also an outdoor pool and snack bar, which sounds to us like the perfect place to chill out. The modernist building features large lounges, too. As you may be able to tell by the name, this hotel is close to Las Ramblas and just three minutes’ walk from Central Plaza Catalunya for easy access to all the sights and shopping of the city. Andante Hotel – With simple, whitewashed rooms, this 3-star hotel features a rooftop terrace – complete with pool and breathtaking views of the city at nighttime. All decorated with a minimalist, monochrome color scheme, Andante Hotel also has a focus on sustainability, which we appreciate. It’s located near to the Arts Santa Monica, the Maritime Museum, and just steps away from the Drassanes metro station, which makes getting around Barcelona a breeze. Built as a solution to the city’s housing crisis Eixample, meaning Extension in Catalan, is one of the city’s more modern neighborhoods in Barcelona and is easily recognizable due to its symmetrical grid system layout. This is where lovers of modernist architecture should come and soak in the lines and shapes of the city. 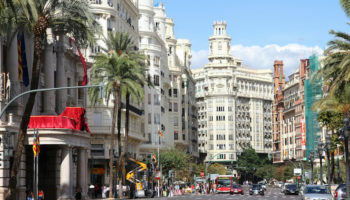 Designer shopping is big in this district, so if you are into your luxury high-end brands then Eixample should be where you stay in Barcelona. You can also shop until you drop at the more mid-range, high-street brands that also have stores in this district. 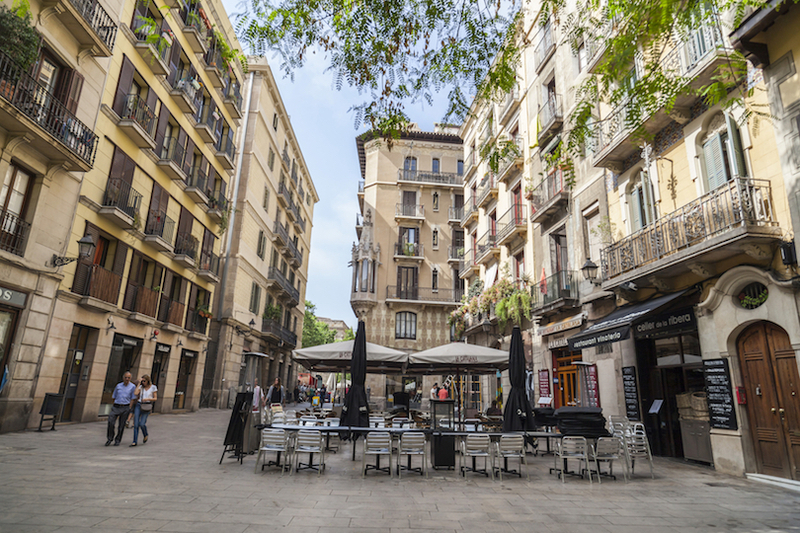 Eixample is a meeting point in the center of the city for uptown neighborhoods and the historic old town and is easy to navigate due to the grid system, which can easily be traversed by bus or by metro. 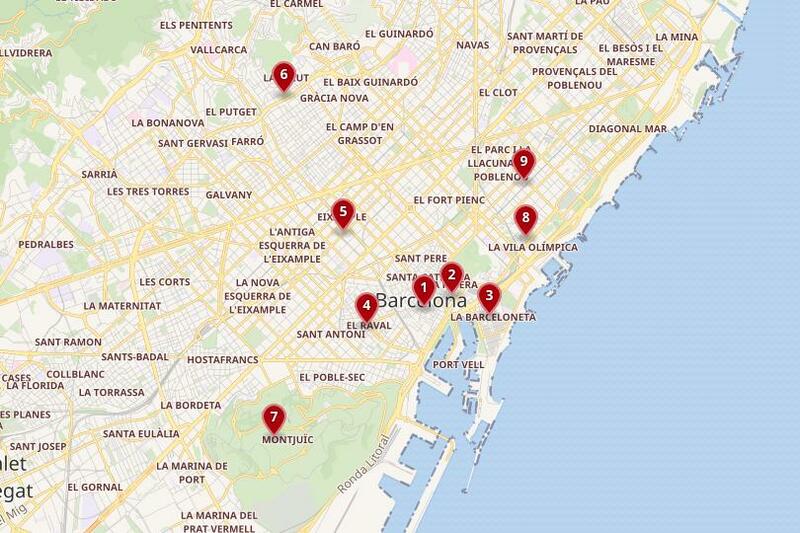 Almost all of Barcelona’s metro lines go through the Eixample district, and a lot of them are integral changeover points, so it’s a great place to stay for people who want to use the metro to fully explore all over the city. There is a wide range of hotels ranging from affordable and the more luxury. The One Barcelona GL – This truly is a chic, gleaming hotel. Sparklingly clean and almost unspeakably nice, it features marble bathrooms, huge beds with Egyptian cotton sheets, and a beautiful restaurant hung with modern artworks. There’s a rooftop here with a pool, where you can soak up panoramic views of Barcelona, as well as an elegant cocktail bar. The location is amazing for those who love to shop; it’s just 100 meters from Paseo de Gracia shopping boulevard. Gaudi’s La Pedrera is nearby for a spot of sightseeing, too. 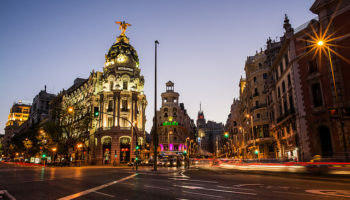 El Avenida Palace – This 4-star hotel is called a palace and it makes sense; the building that it’s located within has a very grand facade and the central staircase here is an ultra-grand affair, with sweeping steps and marble columns. It also has a more recent historic claim to fame: the Beatles stayed here in 1965! There’s a selection of rooms available for a range of budgets and it’s got a rooftop terrace with a sundeck and swimming pool, too. It’s just five minutes’ walk from here to the Plaza Catalunya. Catalonia Plaza Catalunya – The name of this hotel might have already given it away, but this 4-star hotel is situated virtually on Plaza Catalunya, making it a great one in terms of location. This amazing hotel was designed by Emilio Sola Cortes – one of the architects who mentored Gaudi. Inside this modernist building, rooms come complete with comfortable, contemporary furnishings – some even come with their own private plunge pools. Hip and exquisite, Gracia attracts those with a more laid back lifestyle. Once entirely separate from the city, Gracia still remains a cultural outlaw. Hillside cafes with stunning views, leafy lanes and green parks combine with restaurants serving food from all over the world and cafe terraces to make this place feel like an independent village. 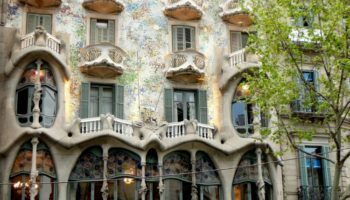 Gracia is Barcelona’s bohemian hangout for those on a budget, it has a high concentration of really good hostels drawing in the backpacking crowds as well as budget and solo travelers. It’s also a really enticing spot for couples wanting to spend a quiet holiday exploring quiet lanes and boutiques together, and for the global hippie looking to kick back. If you are into a spot of partying then this might not be the district for you, but a quick ten minute ride on the metro and you will be in the center of Barcelona. Hotel Casa Fuster G.L Monumento – Set in another of Barcelona’s outstanding examples of modernist architecture – and located at the top of Paseig de Gracia Avenue – the rooms at this heritage hotel are large and feature amazing city views. They also boast a sophisticated selection of furnishings. Built in 1908, this was actually the first 5-star hotel to be built in Barcelona, so staying here really means staying in a slice of the city’s history! Luxury doesn’t do this one justice since it’s really all about how classic this place feels. Aparthotel Silver – All light wood and whitewashed walls, this hotel is simple but stylish and offers easygoing accommodation close to city sights such as Casa Vicenc (another of Gaudi’s buildings). It’s also just 100 meters to Fontana metro station, which means getting around the city is easy from this 3-star hotel. Everything here is clean and well equipped. Rooms come with small kitchens and dining areas for convenience, plus nice lounge spaces for relaxing. Sat up high on a hill overlooking Barcelona is Montjuic. Once used as a strategic defense point it is home to Montjuic castle, a fort layered with years of interesting history. 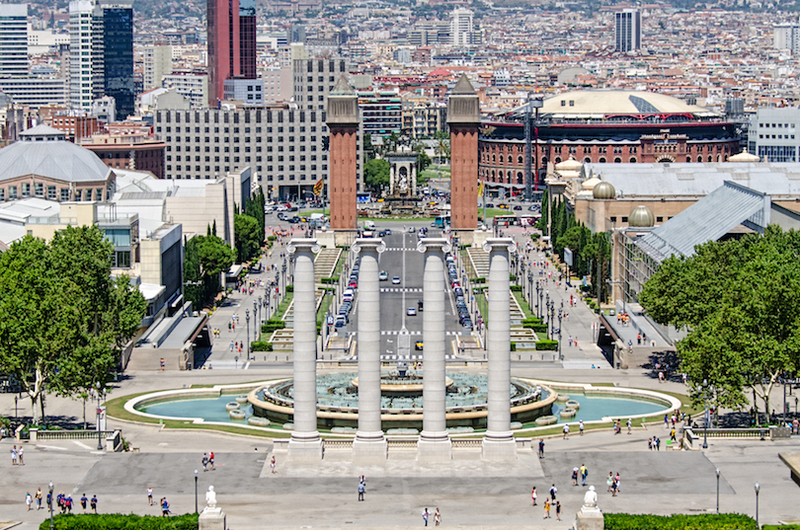 There are many attractions in the Montjuic area such as the Olympic Station and the spectacle of the Magic Fountain. There is even the Montjuic cable car which offers an entertaining ride with fantastic views across the rooftops of the city. The closest neighborhoods to base yourself in up here are Sants and Plaza España. Both are residential and offer a quiet and safe place for families to feel at home on their trip to the city. 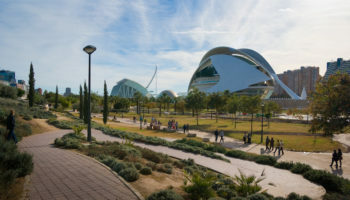 The area, although not in the heart of the action, is well connected by Sants train station which is in walking distance. On the other side there is the Plaza España which is well connected with the airport bus. Ayre Hotel Gran Vía – Modern, bright and low-key, and boasting a spacious courtyard dining area, the Ayre Hotel Gran Via is located near the Fira de Barcelona exhibition center at the bottom of Montjuic. The Espana metro station is also within easy walking distance, which is always a plus. This 4-star hotel also boasts large, clean rooms with comfortable beds. If you don’t feel like venturing out, don’t worry, this place comes with its very own onsite bar, too. Catalonia Barcelona Plaza – Boasting an eye-catching rooftop pool (complete with a funky bar area, of course), the Catalonia Barcelona Plaza also features a selection of gourmet restaurants – perfect for any foodie. The location is excellent; this 4-star hotel is close to the Fira de Barcelona and situated actually on the Plaza Espana itself. Fans of convenience will be pleased to know that the Espana metro station is located just outside the hotel. The rooms at Catalonia Barcelona Plaza are opulent and there are many different areas around the hotel where you can unwind. This traditional area that once resided here was completely redesigned for the 1992 Olympics and now, where there once stood warehouses and docks, you will find grandiose 20th century architecture. Echoing the Barcelona coastline, Vila Olimpica is popular with the younger fashion-focused crowds looking to recline on the golden beaches, sip cocktails in the classy bars and dance the night away in the exclusive clubs. If you want days spent in the sunshine and nights dancing the night away, then this is the spot for you in Barcelona. The Vila Olimpia district is further out of the center of the city, but a great base for those who want to explore the greater Barcelona area. There is a plethora of hotels to choose from to suit all different budgets. If getting around Barcelona via public transport is important to you then choose a hotel close to the Ciutadella-Vila Olimpica Station; if you are just looking for bars and beaches then the options are endless. H10 Marina Barcelona – H10 Marina Barcelona is bright and fashionable and features many large, airy spaces around the hotel, all decorated with numerous indoor plants for a cool and relaxing atmosphere. The rooms boast parquet flooring and a cutting-edge monochrome color scheme for decidedly design-led decor. There’s a rooftop pool with great city views, of course, as well as a sauna and an indoor pool, too. 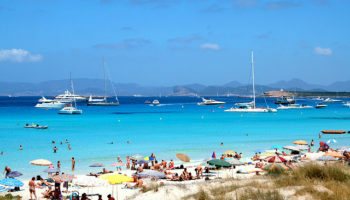 Bogatell Beach is just a 10-minute walk from here and features a lot of bars and restaurants to choose from. 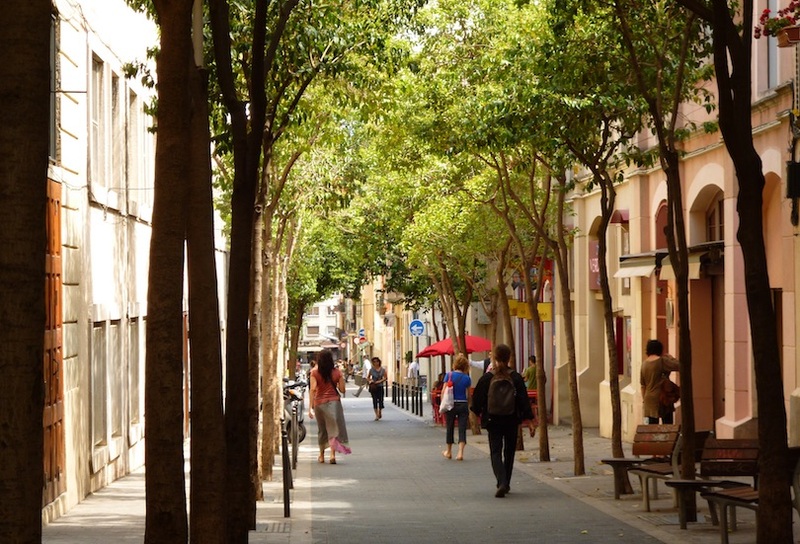 Poblenou has undergone an intense transformation over the last few decades. Once a neighborhood that most people would not want to spend their holiday in, it has been rejuvenated to become an interesting district with a huge array of bars and eateries, hotels, highrises, shopping and restaurants. The old warehouses and factories have now been reimagined and with this dynamic reinvention a trendy local district that successfully mixes the old and new has emerged. A sign of this new creative mix is the opening of Barcelona’s design hub in the district, a long esplanade which is a welcoming spot for visitors to enjoy. 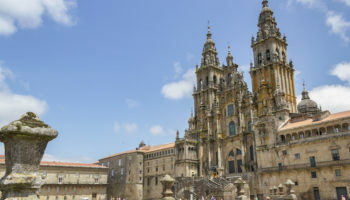 There is also now an abundance of five star hotels for visitors to choose from and the area is well connected by metro, bus and tram lines. 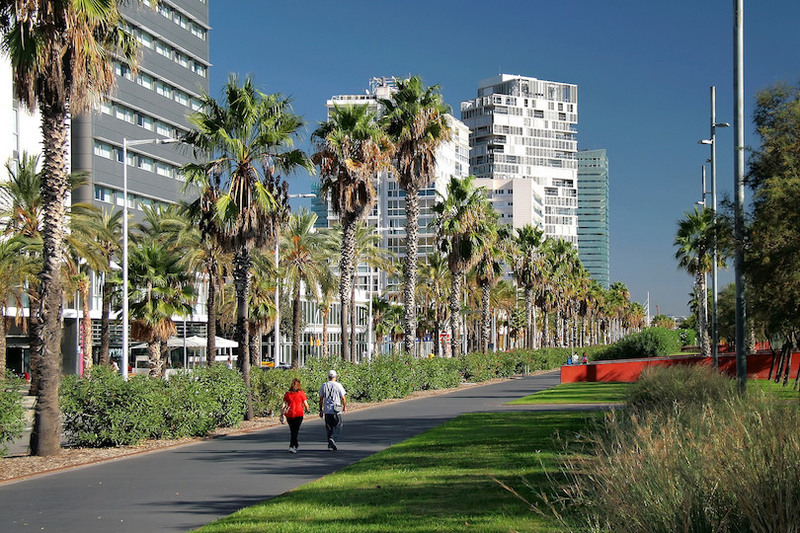 Take an afternoon stroll down the historic Rambla del Poblenou – this busy street is close to the beach, and its festive atmosphere makes it a great spot to stop and sample local tapas along with a glass of refreshing wine. Ilunion Barcelona – A large (224 rooms!) hotel cheerfully decorated with bright color pops and simple, stylish furniture, there’s a lot to like about Ilunion Barcelona. You’ll find a rooftop pool area, complete with panoramic views of the city and a snack bar. Plus, you’ll get to enjoy a sprawling a la carte restaurant in the evenings. The staff at this 4-star offering are very welcoming and courteous, which can make all the difference. If you’re into getting out late at night, there’s plenty of live music venues and eating options just on the doorstep.